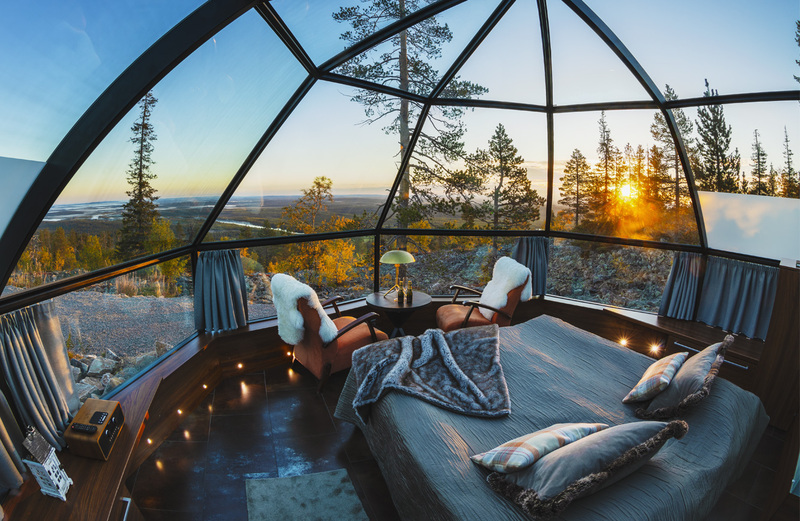 The glass-roof Levin Iglut igloos offer their guests luxury next to the wilderness: a view of the rugged fell landscape and the northern sky, high-quality accommodation and personalised heartfelt service. 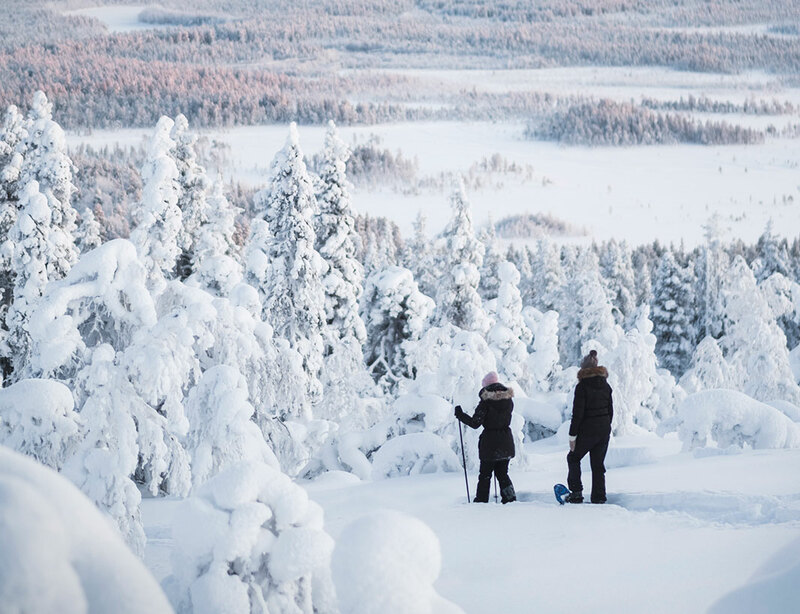 The igloo hotel is located on the slope of a fell at a height of 340 metres, and the centre of Levi, one of the most popular holiday destinations in Lapland with diverse services complementing ours, is just 10 km away. The distance from the lights of the centre and the unobstructed view of the northern sky from the slope make us an ideal place for admiring the Northern Lights. Wow, I mean, wow. This was one of the most unique places I've stayed at in my life and it was worth it. Luxury lush surroundings. High standard igloo. Absolutely amazing. Watched the northern lights here too which was the icing on the cake!! The perfect way to enjoy the Lappish Winter and to watch the Aurora Borealis (if lucky). Very good (and busy!) restaurant - highly recommend to book ahead for dinner. Changes in all igloo types. Levin Iglut - Golden Crown provides two different accommodation experiences. In the glass igloos, you can fall asleep under the northern lights and starry sky and enjoy the astonishing fell landscape immediately after waking up. The luxuriously equipped Northern Lights House building features its own sauna and a private terrace with a hot tub, among other things. Why not try both of them out during the same holiday? 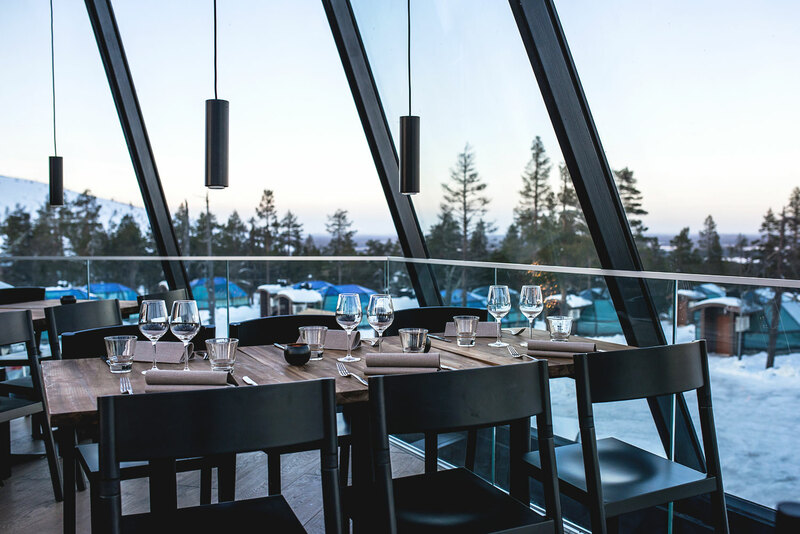 In addition to a delicious meal, you can enjoy the magnificent fell landscape or Northern Lights in Aurora Sky; similarly to the igloos, the second-floor walls and roof are entirely made of glass. Downstairs, you can dine with style in the warm glow of log-fire. The flavours will not play second fiddle to the atmosphere. Our ambitious kitchen has been praised as the best in Lapland. We offer our guests comprehensive hotel services and a bit more. The accommodation experiences and high-quality restaurant are complemented by diverse activities in the fell environment. We want to make the time you spend with us unforgettable. Therefore, we will be happy to customise the services as you wish. Levin Iglut – Golden Crown began with one man's dream, when a passionate Lapland visitor decided he wanted to share the area’s unforgettable scenery with the rest of the world. This dream turned into a family business, with the goal of providing its customers with the best igloo experience in Lapland.